Research has shown that eight out of every ten people we know are at risk for a heart problems such as heart disease, high blood pressure or stroke. Count this writer as one who is struck by such a high number. 80 percent…wow. Anyways, as staggering as this number is, it’s a number that can be reduced dramatically. Researchers at Emory University state that over 50% of deaths that occur each year from heart disease could have been prevented. The five main causes of heart disease and other disorders are: diabetes, high blood pressure, high cholesterol, smoking and obesity. Studies demonstrate that all five of these causes can be eliminated or significantly reduced with subtle dietary changes. 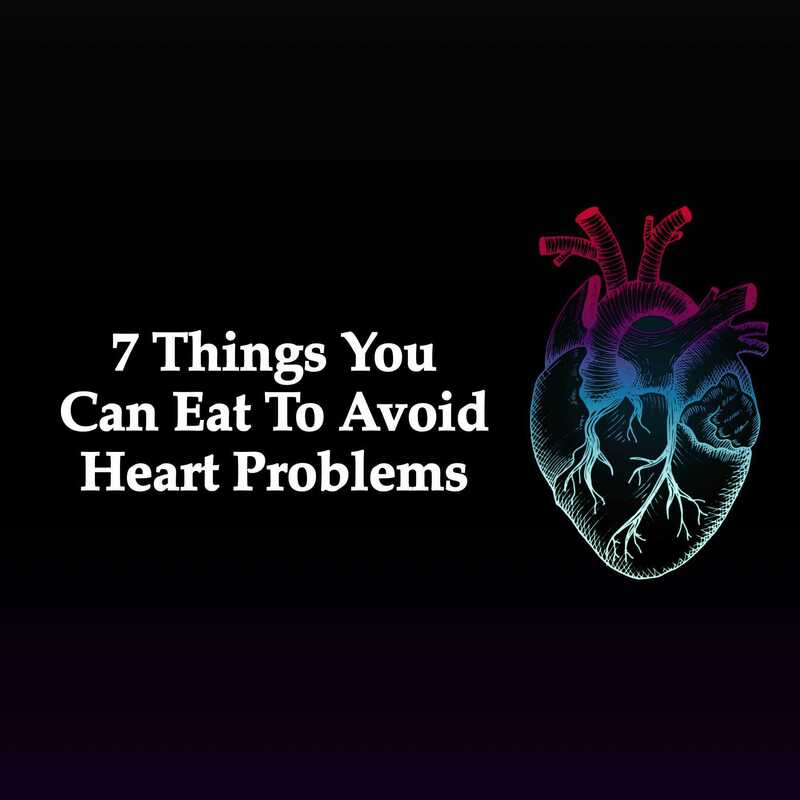 In fact, adding just seven foods to our diets can help manage the five most common factors of heart-related illness. Flaxseed is a powerful and versatile wonder food. Studies show that flaxseed may help fight off anything from breast cancer to heart disease. Flaxseed is excellent for heart health because of its effect on our cholesterol levels. In studies, flaxseed has demonstrated the ability to reduce bad cholesterol. Further, flaxseeds are a rich source of Omega 3 fats and fiber – both important nutrients in promoting heart health. Simply adding a few sprinkles in our food each day can help lower cholesterol and decrease our risk of heart disease. For most of us, these tasty soybean pods are usually enjoyed with some delicious sushi (a healthy dish by the way). It turns out that we should be munching on them more often, as these beans contain high levels of folate, magnesium and potassium – all nutrients that lower blood pressure and bad cholesterol levels. Further, they’re an excellent source of fiber, which we already know is important for keeping a full belly. Chocolate lovers, unite…again! Dark chocolate once again shows just how versatile of a treat it is for keeping us healthy. Many different studies have shown that individuals who consume cocoa – in any form – are in better heart health than those who do not. A study in the journal Circulation: Heart Failure notes that women who ate one or two servings of quality chocolate every week had a 32 percent lower risk of developing heart failure. One thing to keep in mind though, chocoholics: make sure that the chocolate contains at least 60 percent cocoa in order to get the full health benefits. “Sprouted” garlic – the old garlic bulbs with green shoots emerging from the cloves – is usually thrown away. However, researchers have discovered that this garlic actually contains more heart-healthy nutrients than the fresh stuff. This comes as a surprise to many in the medical community, as fresh garlic has a renowned reputation for its health benefits. It turns out that sprouted garlic has even higher levels of antioxidants. Antioxidants are important nutrients in preventing numerous illnesses, including heart disease. According to a study done at the University of Scranton in Pennsylvania, walnuts are actually the healthiest nut for heart health. Dr. Joe Vinson states that this is due to the fact that walnuts have a higher antioxidant level than any other nut type. However, Dr. Vinson gives his approval for every other nut, saying “Nuts are good for your heart. They can lower cholesterol, reduce the oxidative stress caused by the free radicals, and decrease unhealthy inflammation.” In his study, Dr. Vinson also cites some other nut types, including: almonds, pistachios, peanuts, hazelnuts, Brazil nuts, cashews, macadamia nuts and pecans. Those who do not respond well to stress are at a higher risk for obesity. This is because stress triggers the “belly fat hormone” cortisol, quickening the storage of fat in our cells. Further, those prone to a negative stress response are more likely to suffer from higher levels of inflammation – and inflammation is directly tied to obesity, diabetes, heart disease and cancer. Well, this is where Rooibos tea is really effective. Rooibos calms the mind by using the flavonoid Aspalathin, which is also effective for reducing cortisol levels. In turn, this checks our inflammation levels while keeping our heart healthy. It turns out that the fruit that Americans eat the most of is also an incredibly nutrient-dense superfood. As it relates the heart health, tomatoes contain a high level of lycopene – a powerful antioxidant that has been shown to reduce the risk of cardiovascular disease. In addition, tomatoes are packed with vitamins A and C, as well as folic acid. Tomatoes also contain potassium and choline which has been known to support heart health. In addition to providing all of these wonderful benefits for our heart, tomatoes are also powerful agents against skin disease and cancer.